Alen Gregorio Perez Alvarado is a late life child of Jose Henrique Perez and Paulina Alvarado Gonzales. At five years old he is the youngest of eight children, seven boys and one girl. He is a well-adjusted and happy child. He and his brothers have lots of room to run around and play in the rural area where they live. He attends Catholic church regularly and is in his second year of preschool. His parents said he was an unplanned child but is a huge blessing to the family. 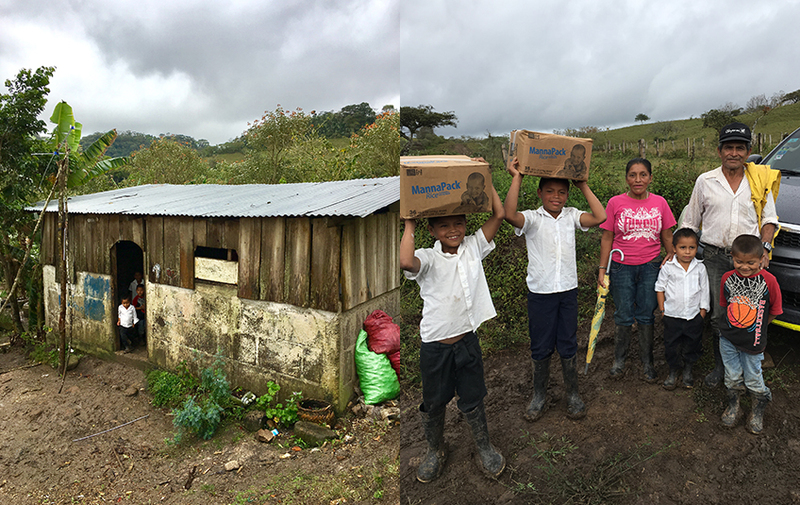 The family lives in poverty but just before Gregorio was born they received a new small house from a project. The old house walls were made with a crib of sticks filled with large rocks but this type of construction is dangerous because poisonous snakes use to come to live among those rocks. It had a roof made partly of old rusty zinc with holes that let in rain water and the rest of the roof was black plastic. A few years after they received the new house they added a ramshackle kitchen using the old rusty zinc. It has a dirt floor but at least now they don’t have smoke in the main part of the house. The family feels very proud of their new house even though by our standards it is quite rustic, is small only six meters by six meters and there are sometimes piglets and chickens running in and out. In the past year they were finally able to run electricity to the house and now have three light bulbs in various areas. There is no latrine anywhere to be found and the world is their bathroom. There is a hand dug well near their property which is shared by several families. They live in the rural community of Pasa Real Nicaragua not far from the slightly larger community of Mancotal. Jose Perez has lived 52 years in this general area. They have lived 18 years on this small piece of land where the house was built. Jose has 2 sisters living near by but Paulina says she’s an orphan because she doesn’t have any family left. The family rents a little piece of land to grow crops such as corn and beans. Besides working this piece of land Jose picks coffee and sometimes helps other larger farmers in the area. Paulina also picks coffee for 3 1/2 months a year but otherwise she works at home. They say they make a little more than five dollars a day apiece when they’re working for others. They keep part of what they grow for the family to eat and the rest they sell to buy non-food necessities, fresh vegetables and other foods they don’t produce themselves. They raise a few chickens and have meat one or two times a week. Their main diet consists of beans, rice, squash, and malanga. 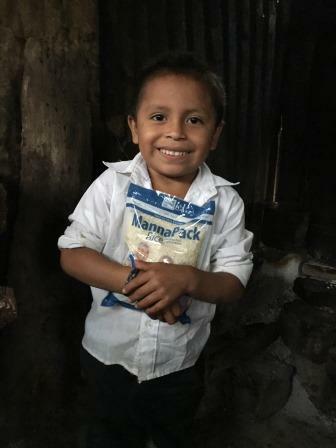 We added this family to our list of MannaPack Rice™ recipients because they had some debts to pay regarding one of their children and had to sell off most of their food supply after the last harvest. The next harvest won’t be ready to pick for months so this should help them physically and economically until that time. Both Paulina and Jose have been trained by the health service to be midwives. They are part of the Brigadista Comunitario and their services are free. When women go into labor during the day the health service can send someone to help deliver the baby but they say many nights they hear a knock at the door and someone needs their help. When Paulina went into labor with Gregorio, Jose delivered the baby alone at the house. But after only a few hours someone else needed his services so he had to leave them to attend to the other woman in labor. The children have to walk an hour and a half each way to school. Gregorio is in the second year of preschool and he also has to walk to school. One of the older boys has to cross the river on the way to his school but when the rains come and the river is high sometimes he can’t go to school for a month and a half. Rosa Elena has to walk 15 minutes to the bus and then ride the bus for 20 minutes or more each way. Even though she is 15 years old she is only in fifth grade. Very basic medical care is about one hour away by foot. Soon there will be a dental clinic in their church and Paulina certainly needs to have dental work done. 1. To grow in faith and serve God. 2. To get ahead and have a more stable life.